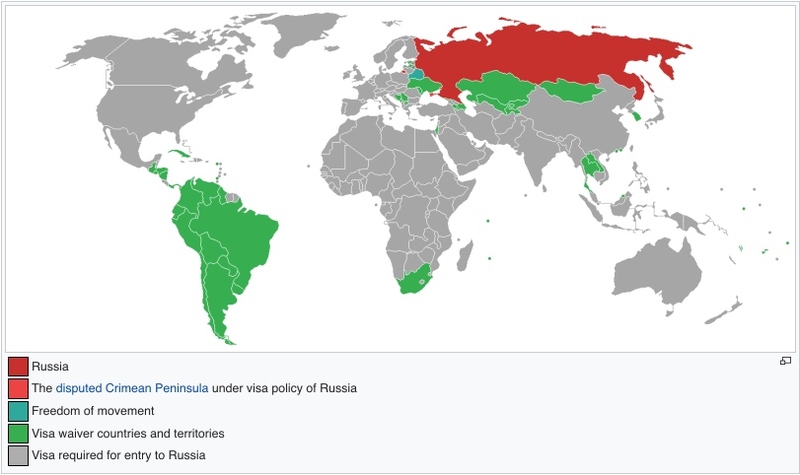 I’ve had to apply for tourist visas to Russia for family and friends on several different occasions and in different countries. 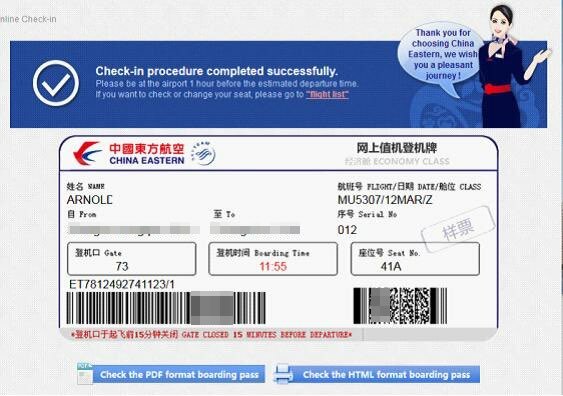 In this article, based on my experience, I want to explain step by step how to obtain a Russian visa in China (or Hong Kong) on your own to travel to Russia. 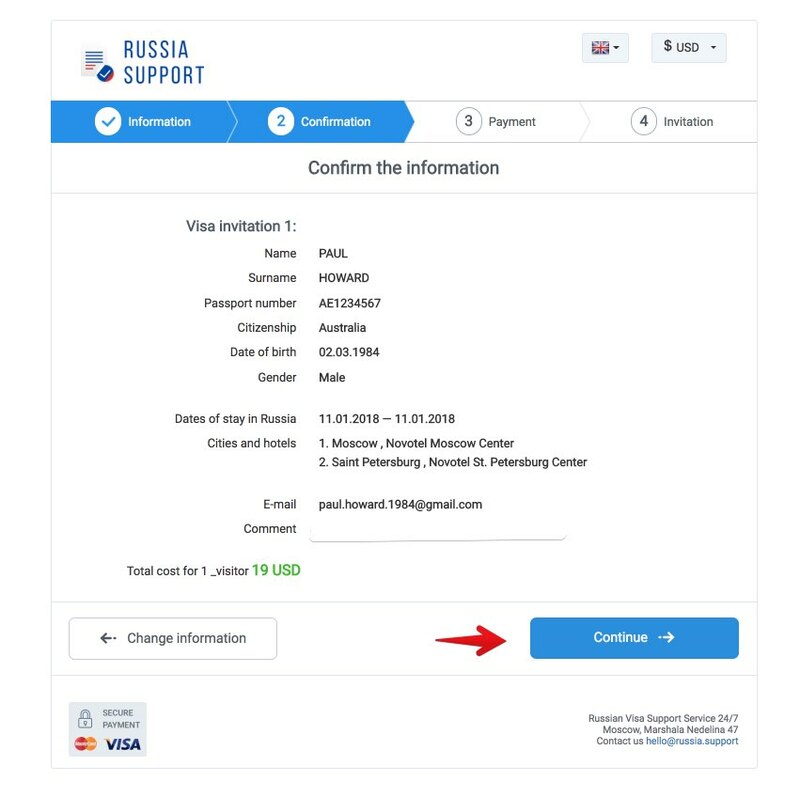 I’ll explain how to gather all of the documents you’ll need to apply for a visa from your computer in a way that is quick (less than 1 hour) and cost-effective. 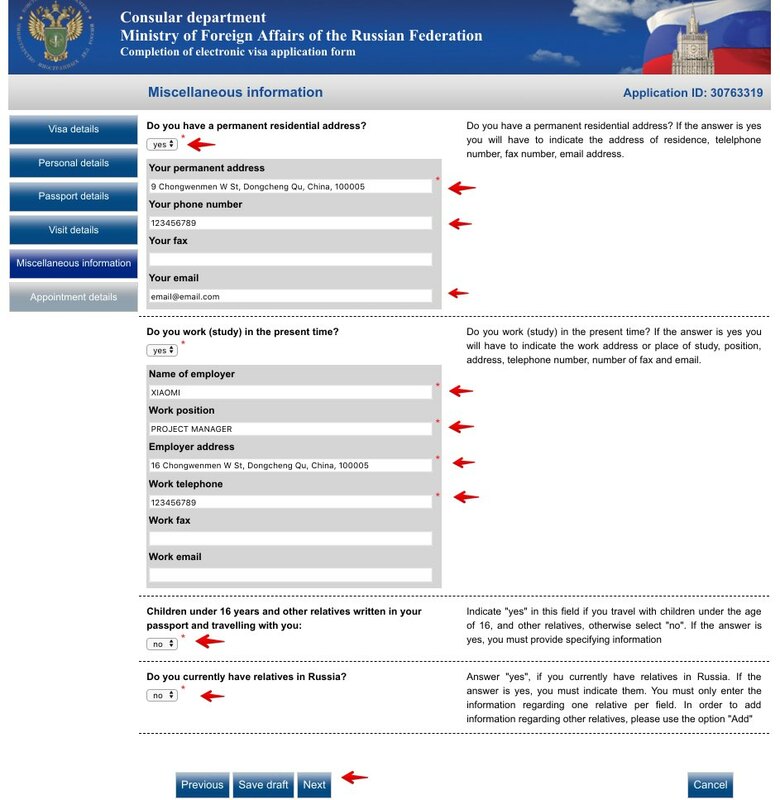 If you are from China, you will need to obtain a visa in order to travel to Russia. 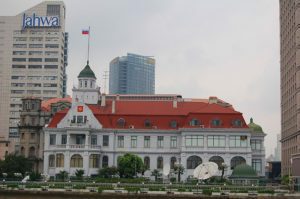 At the Consulate of the Russian Embassy in China (which can be found in Beijing, Hong Kong, Guangzhou, Shanghai and Shenyang). 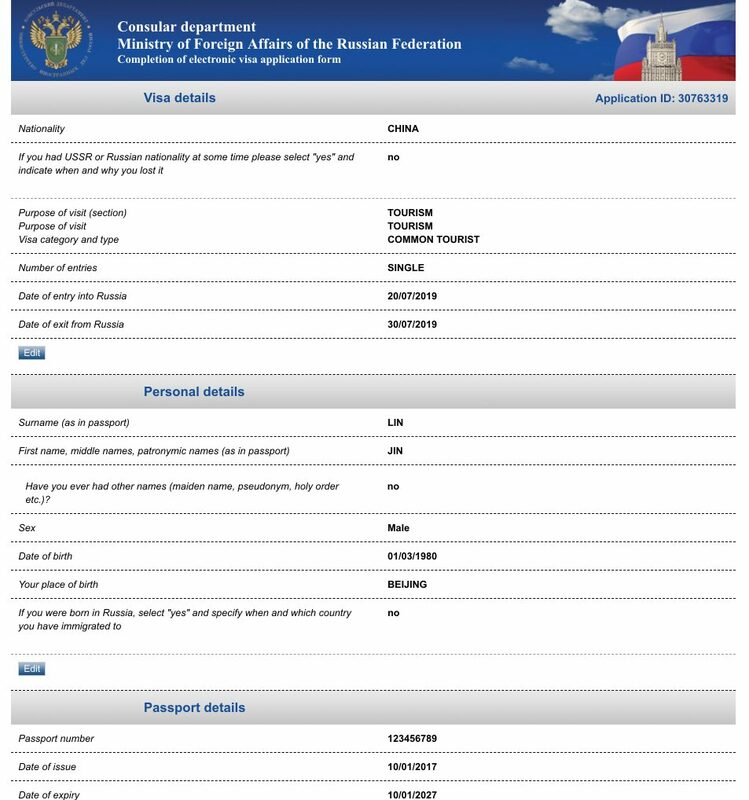 Through the Russian Visa Application Centre in China, an independent business that is subcontracted by the Russian Embassy in China which has delegations in Beijing, Hong Kong, Guangzhou, Shanghai and Shenyang. The only advantage of applying for your visa in one of these consulate offices is that it is a little bit cheaper. 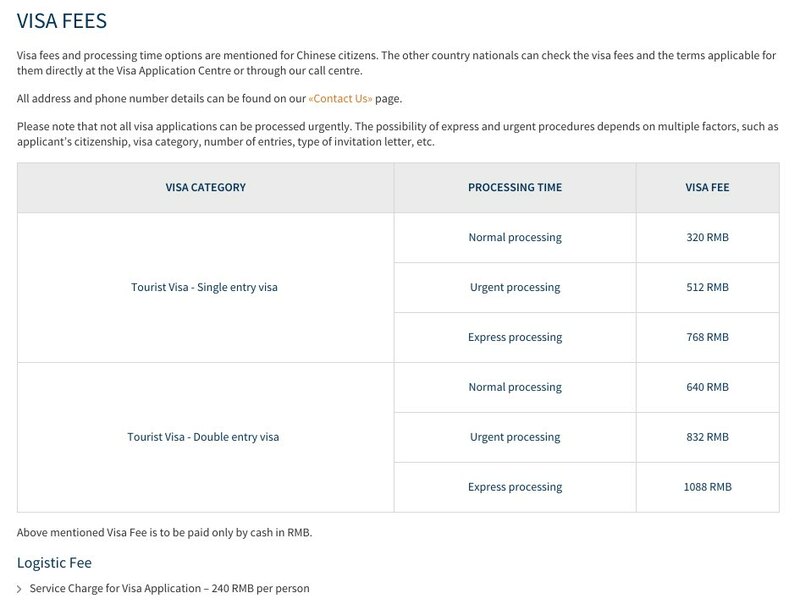 The normal processing of a visa costs 320 RMB (390 HKD in Hong Kong). 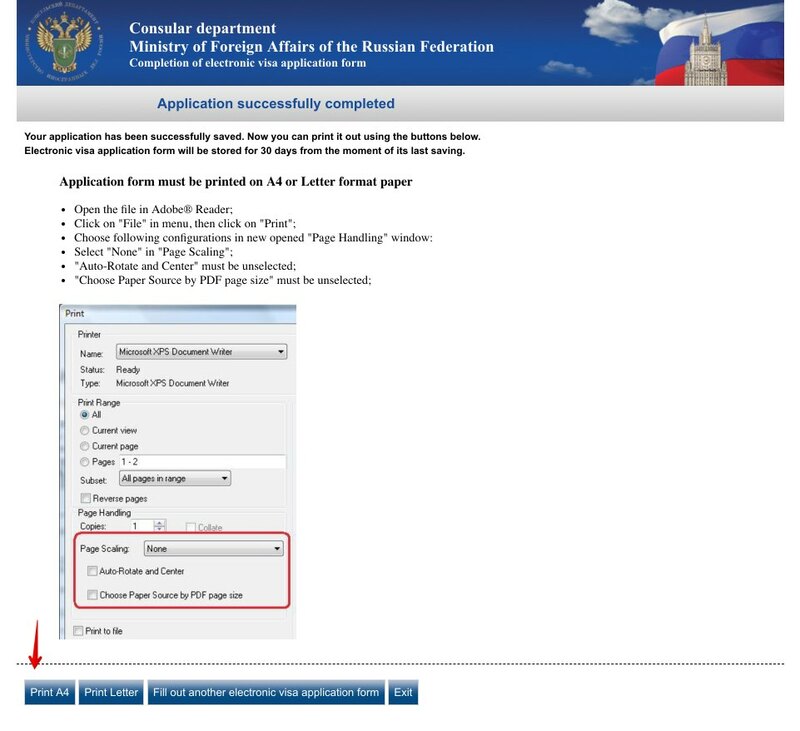 You do not have to pay the 240 RMB administrative cost that is applied at the Russian Visa Centers (280 HKD in Hong Kong). If you are missing a single document or something is done poorly, you will have to return on another day as the consulates do not provide additional services like completion or correction of forms, photocopying, or photo and courier services. 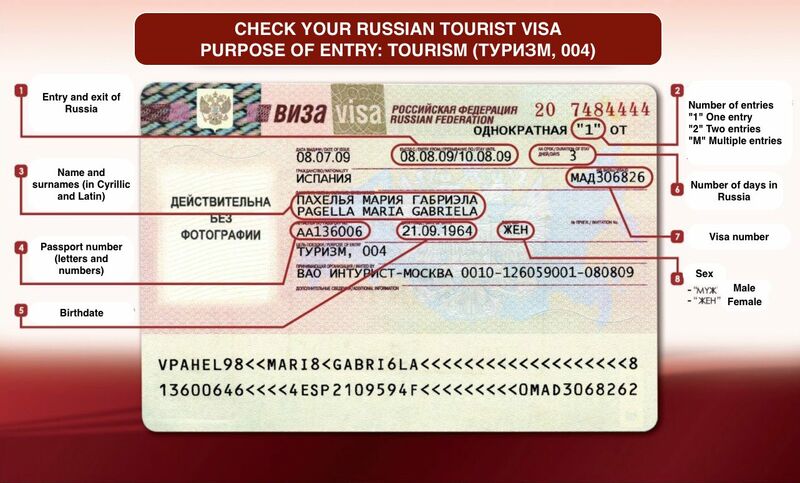 During the last few years, the number of visas to Russia from China has greatly increased. 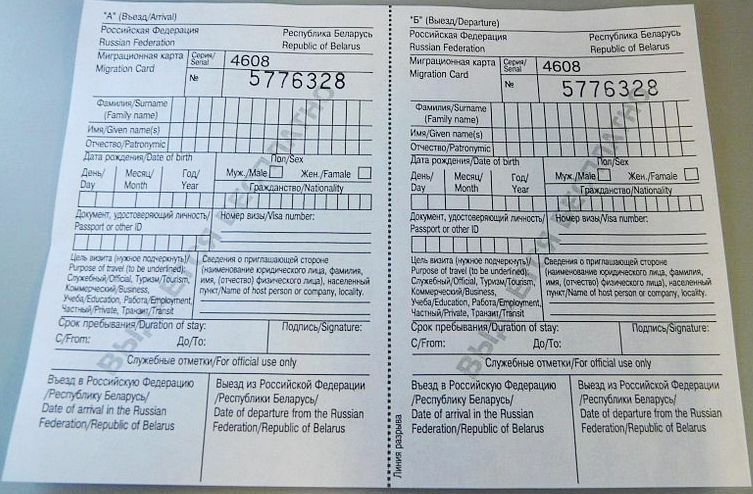 Because of this, and to streamline the process, authorization to manage and process Russian visas was given to the Russian Visa Center, an entity managed by the private company, VFS Global which handles visas for the residents in China. They are available in Beijing, Guangzhou, Shanghai, Shenyang and Hong Kong. They offer additional services for purchase that are not available at the consulates: completion of application forms, photocopying, visa photos, courier services, etc. Everything is set up so that you don’t have to come back on another day. 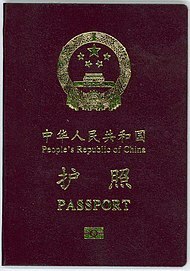 In exchange for better service, the price of the visa is greater and a cost of 240 RMB per visa is added (administrative cost). 280 HKD in Hong Kong. One last option is to use the services of a private agency, which will be in charge of carrying out the whole process of managing the visa. The main advantage is the comfort (you give them your data and they take care of everything). The main drawback is that the price will be higher. They usually charge at least 400 RMB per visa for management costs. There are many private agencies that offer this service. 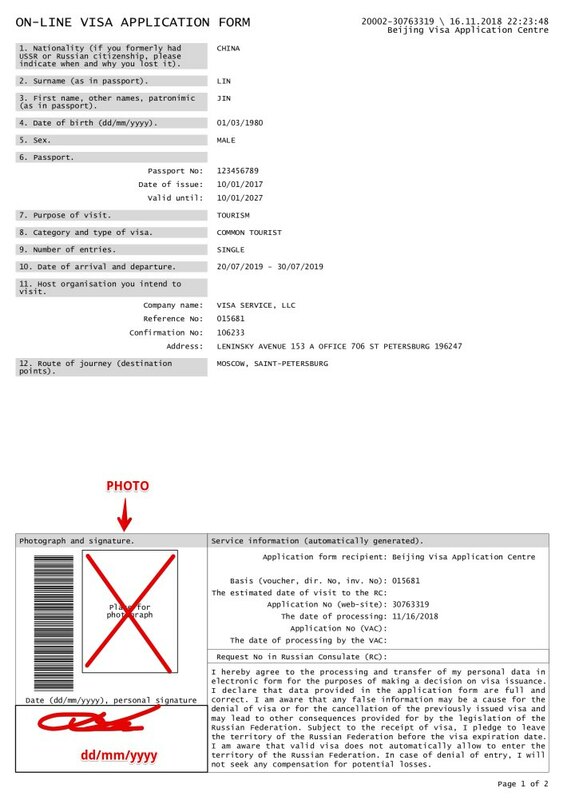 The actual visa processing fee, called consular fees, which at the consular sections cost 320 RMB for a single entry visa (390 HKD in Hong Kong). 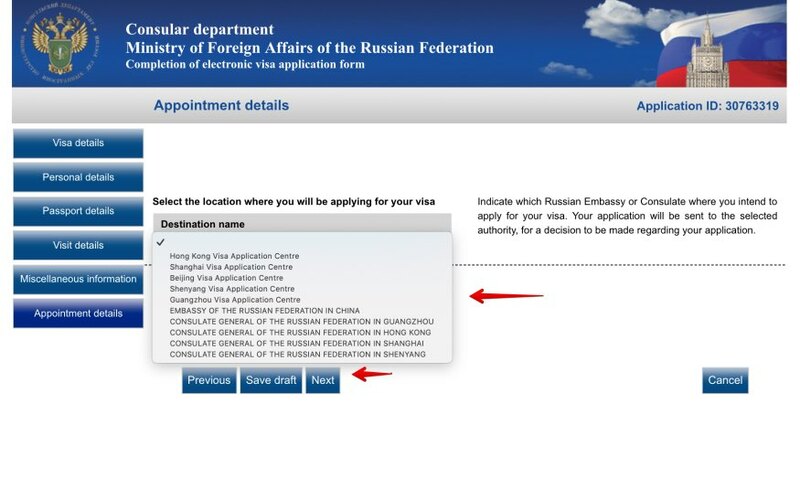 At the Russian Visa Center you have to add an additional 240 RMB in administrative fees (280 HKD in Hong Kong). 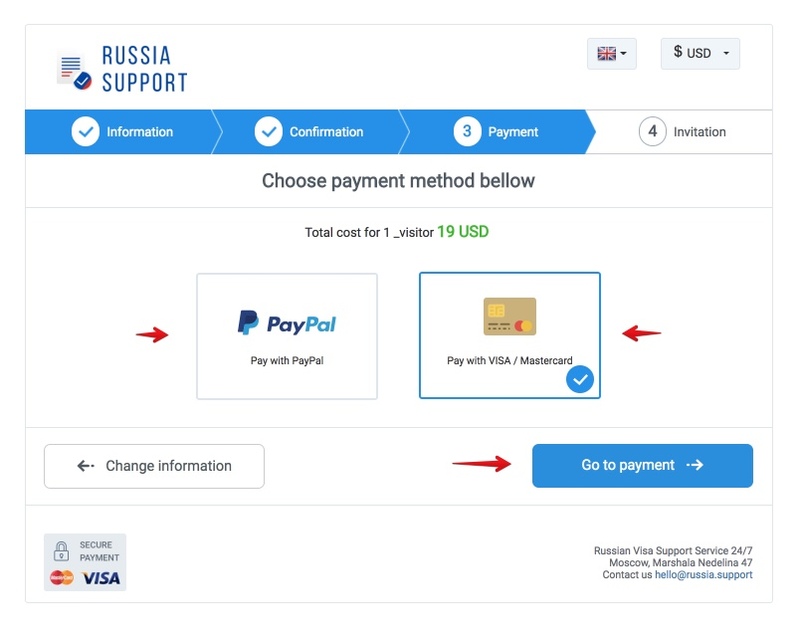 In addition to the cost of processing the visa, you must also ad the cost of the letter of invitation or visa support, which is also required. The cheapest are around 350 RMB (later I’ll explain how to get one for this price in a PDF format in a few minutes). 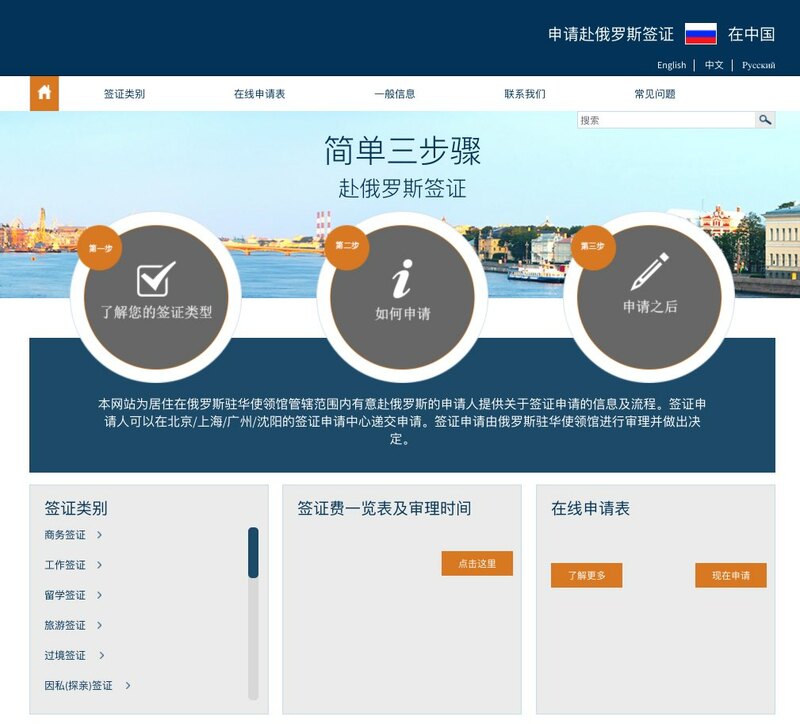 If you do the procedure at the Russian Visa Center you must add 240 RMB of administrative costs so the total cost will be 910 RMB per visa. If you do the procedure through a private agency you must add at least 400 RMB. You are free to apply up to 90 days prior to their date of travel. The Embassy recommends that you apply at least 3-4 weeks prior to your date of travel to accommodate any unforeseen processing delays. 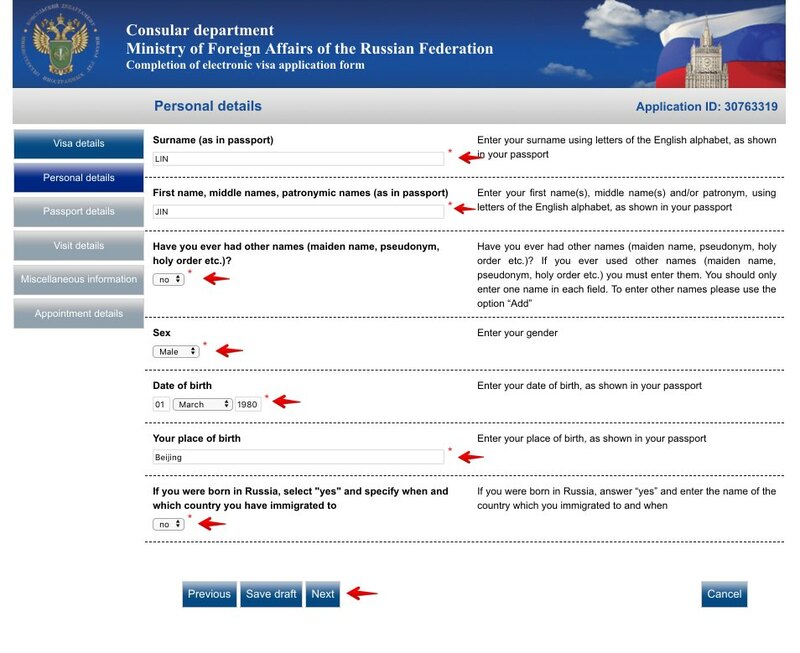 You must also provide a copy of the passport’s front page. 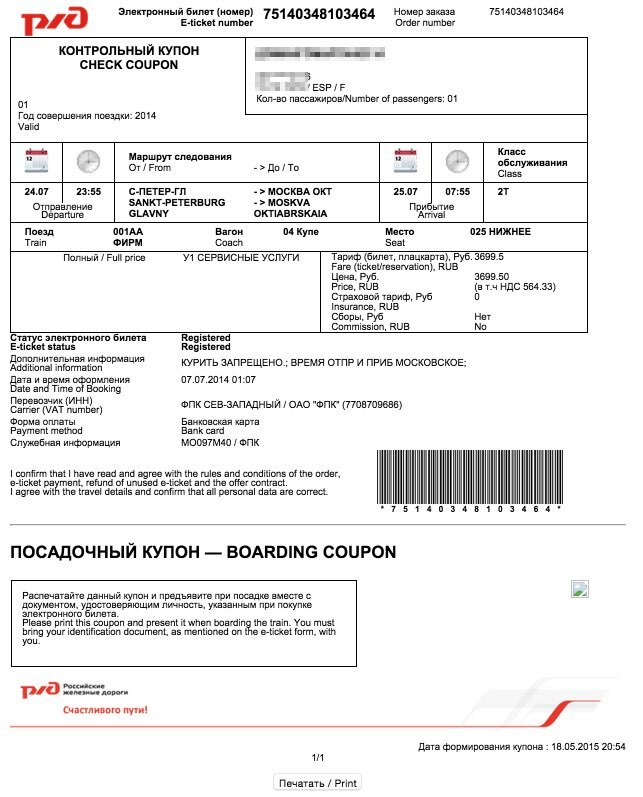 When applying for a Russian tourist visa, it is also required to provide transportation tickets with confirmed dates of entry and exit from Russian Federation. 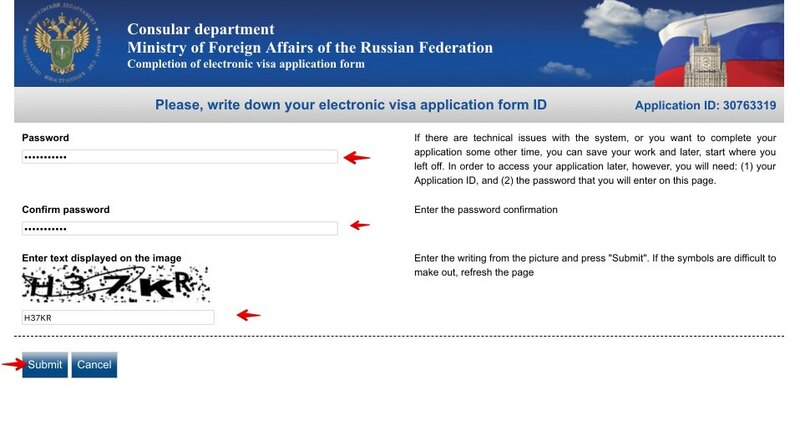 Therefore, you must buy airline or train or bus tickets to Russia in order to apply for a visa. 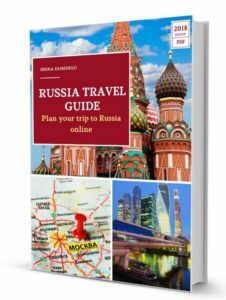 To find the cheapest flights from China to Russia, I recommend you Momondo website. Once you have transport tickets and you know your entry and exit dates, you should outline your itinerary and plan out the cities you want to visit and the hotels or apartments where you’ll be staying. 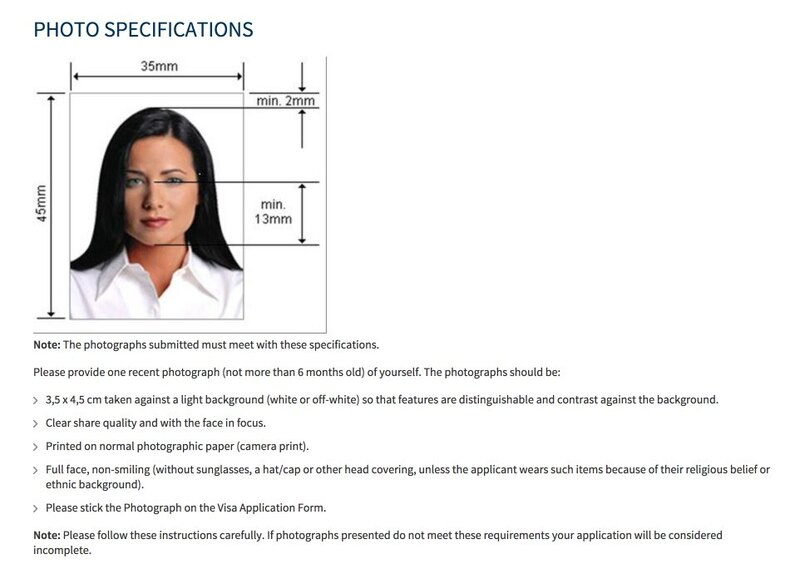 Note: You can apply for a visa for a period longer than expected. 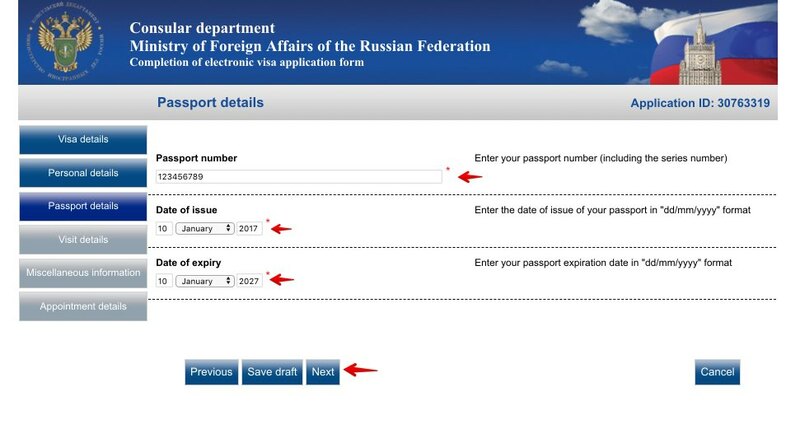 For example, if you plan to be in Russia from July 21 to 30, you can apply for a visa from July 21 to 31, but keep in mind that the invitation letter must have this same period, from July 21 to 31. Option 2. 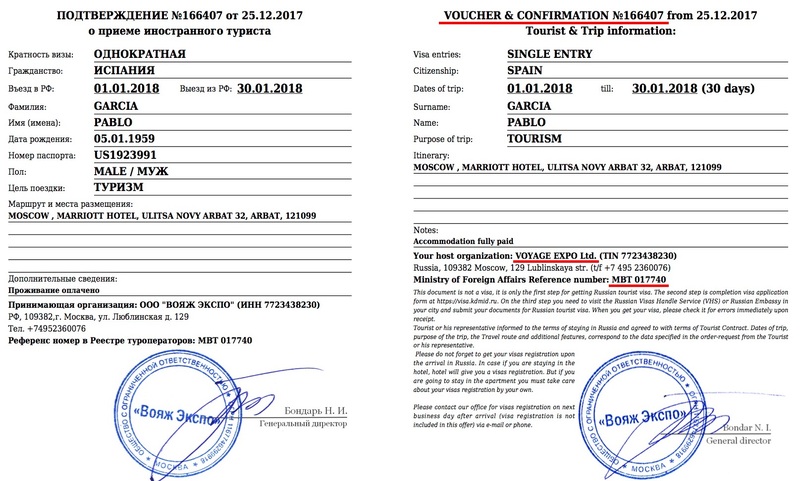 Getting a letter of invitation on your own through an authorized RUSSIAN TOUR OPERATOR. 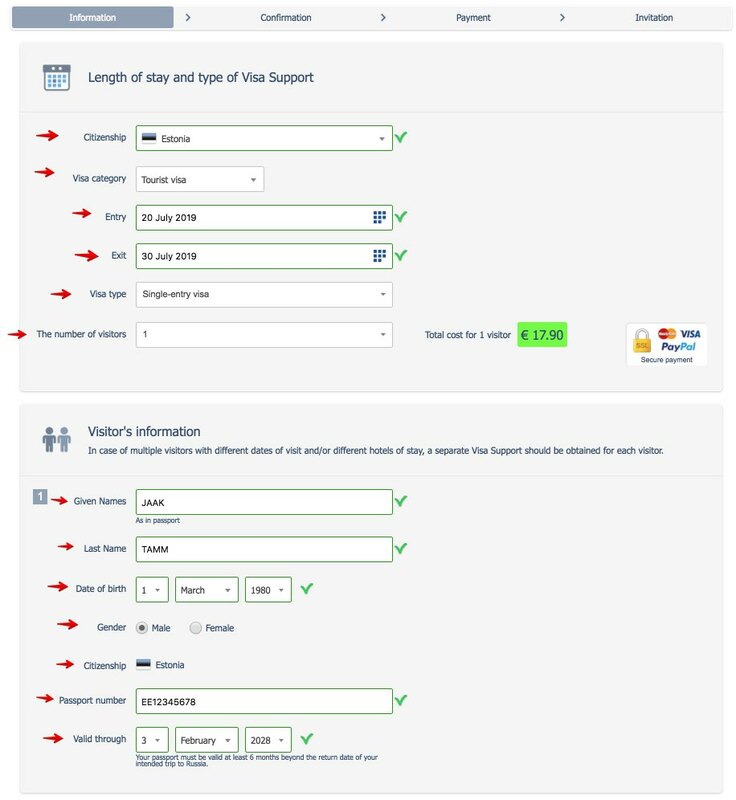 If you simply want to do things more quickly without having to call or email each individual hotel, there are different travel agencies that can quickly provide the visa support online in 5 minutes for about 350 RMB. 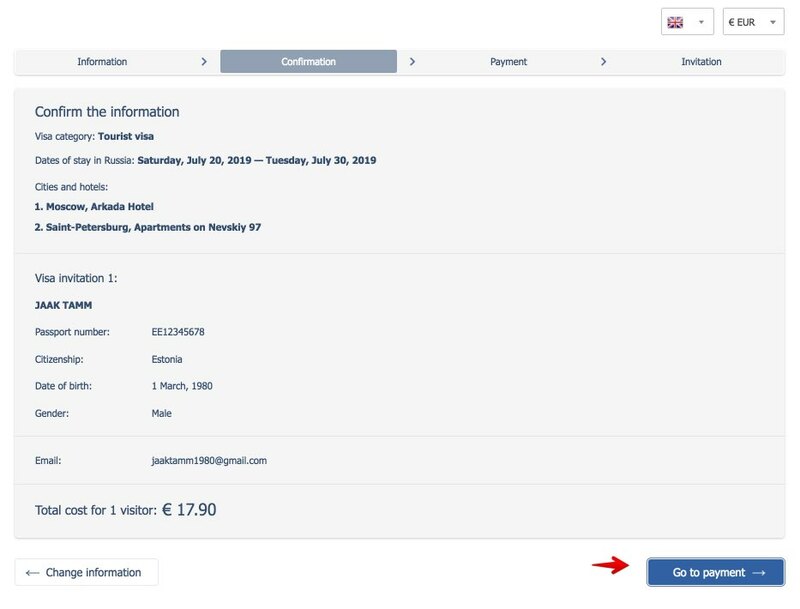 With this option you can include the hotels or apartments in which you are going to stay, but with the advantage that later you can change the hotels after obtaining your visa (you may find a cheaper hotel, or Airbnb apartment or one that you simply like better than the original hotel or apartment). 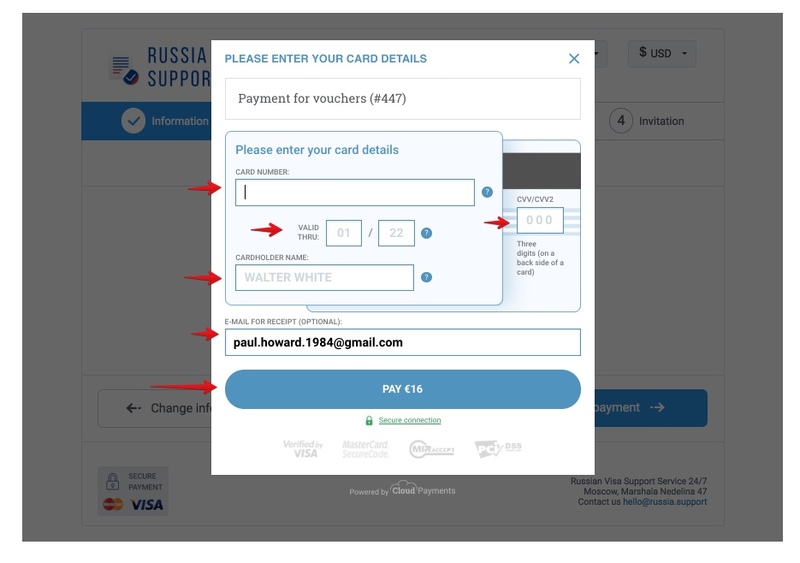 The best options that I used to get an invitation letter are: iVisa and Russia Support. You can get it in 5 minutes in PDF format and you should print it in color. 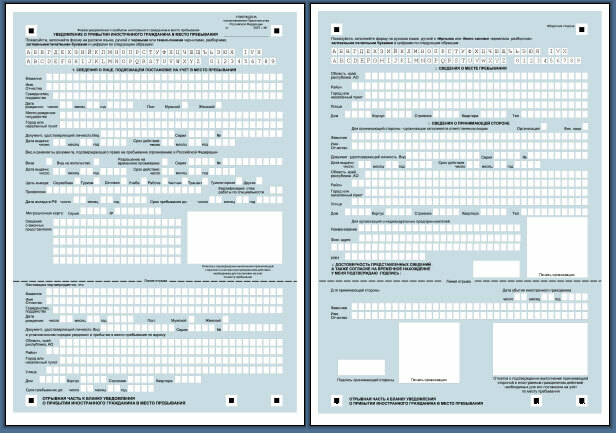 Once you have all of the information you need as far as transport tickets, dates (entries/exits), a current passport and letter of invitation, you are ready to fill out the visa application form. 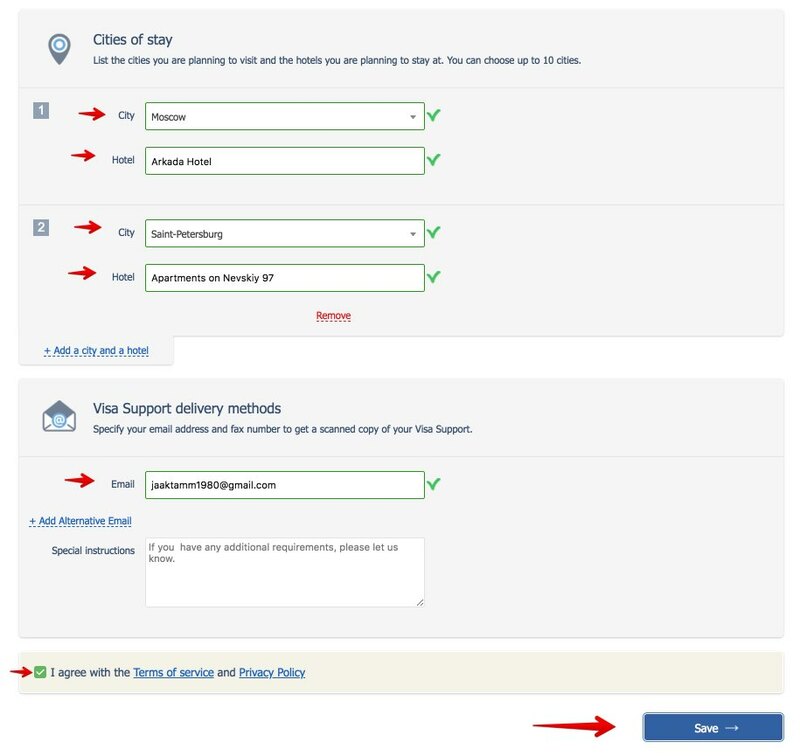 When you go to fill out the form for the first time, you should select your country (China) and the language you would like to continue in. Also mark in the box that you have read the introductory information. 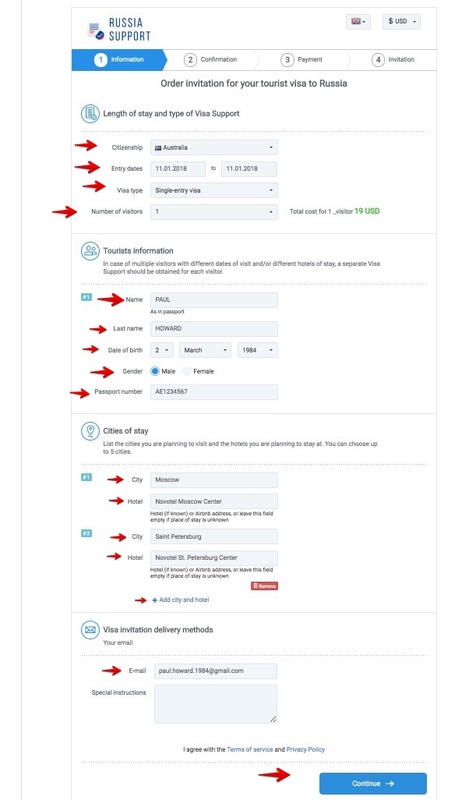 Next, click Complete new application form. 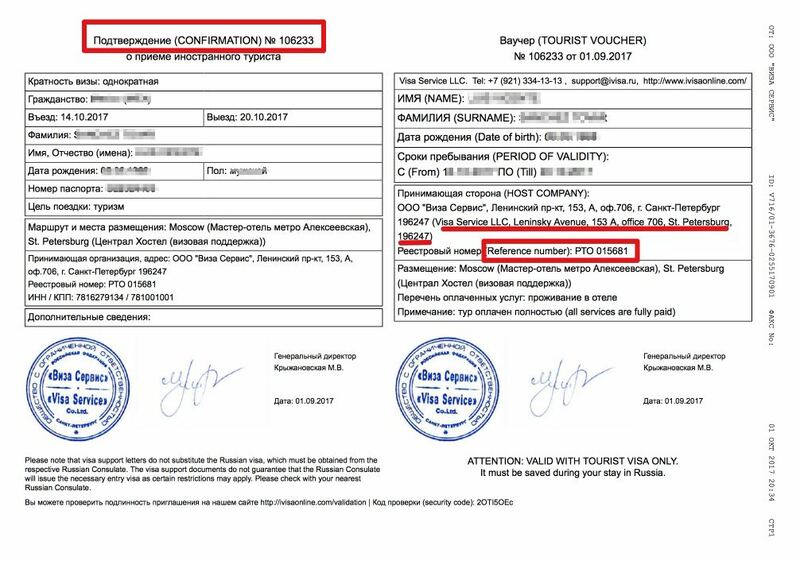 Important: Citizens of Austria, Belgium, the Czech Republic, Denmark, Estonia, Finland, France, Germany, Greece, Hungary, Iceland, Israel, Italy, Latvia, Lithuania, Luxembourg, Malta, the Netherlands, Norway, Poland, Portugal, Slovakia, Slovenia, Spain, Sweden should submit a medical insurance certificate valid for Russia (a good and cheap option to buy a medical insurance is the Russian company Alfa Strakhovanie). 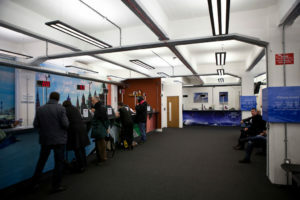 Now you have all the required documents: passport, invitation, tickets and completed form signed and with a photo. 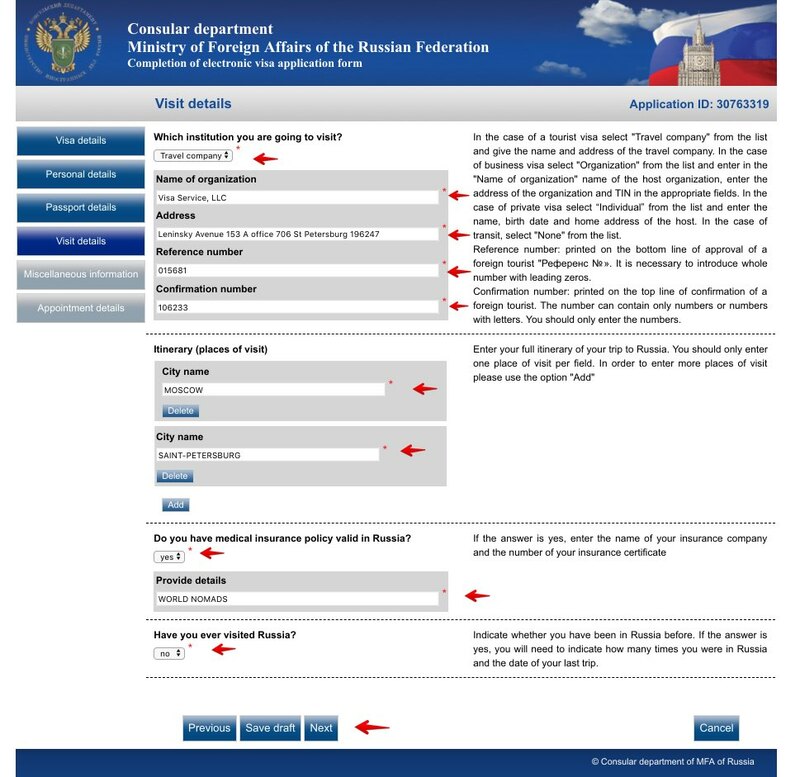 The final step is to take everything to the Consulate or to the Russian Visa Center that is nearest your place or residence. 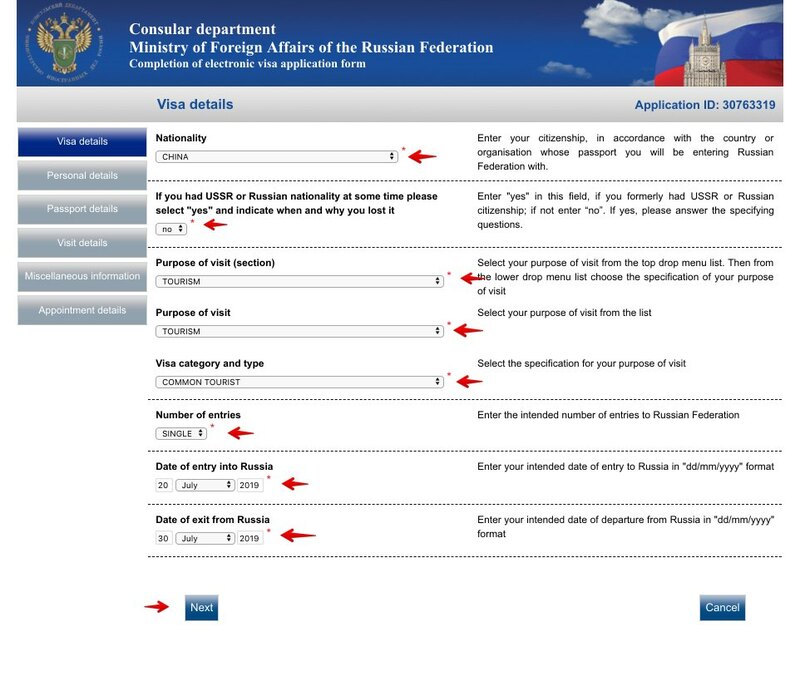 You can submit documents to one of the Russian visa application centres. 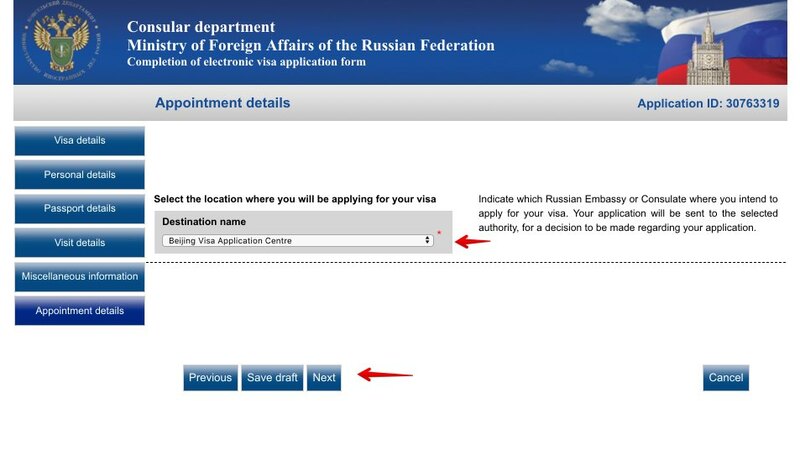 No appointment is required at the Visa Application Centres of Russia in China. You can submit your application within the Visa Application Centers working hours – from 08.30 to 15.30 , from Monday to Friday excluding public holidays and closures. 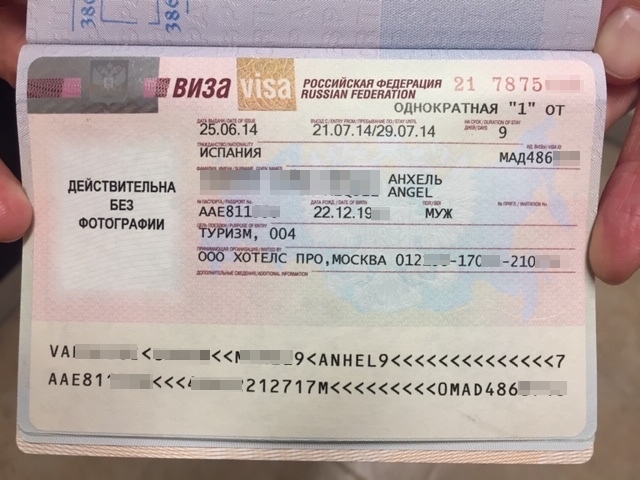 In order to collect your passport with your visa you will need to present the original receipt given to you during the submission. 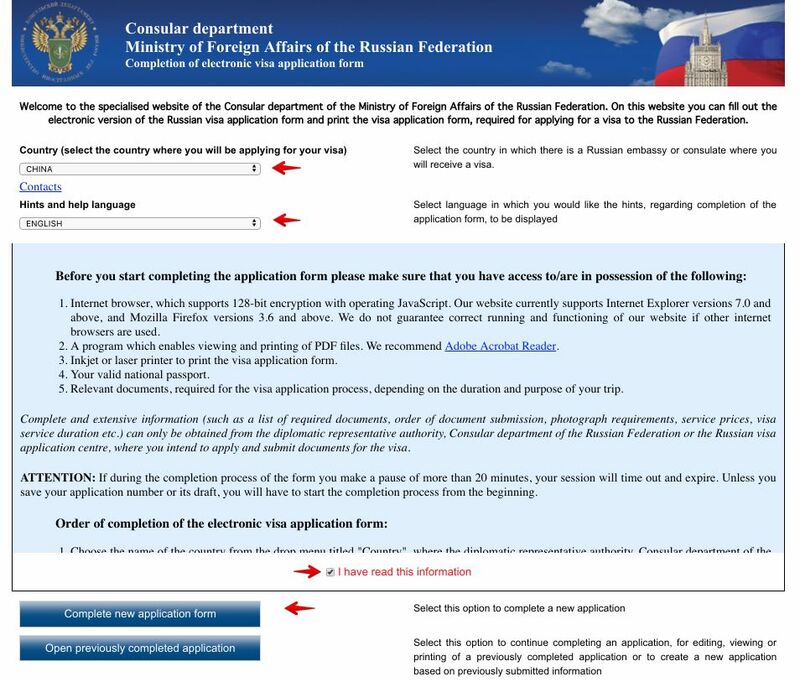 If you wish to nominate somebody to collect the passport on your behalf, they must carry the original receipt and the completed authorization letter signed by the applicant along with a copy of the representative’s ID card. 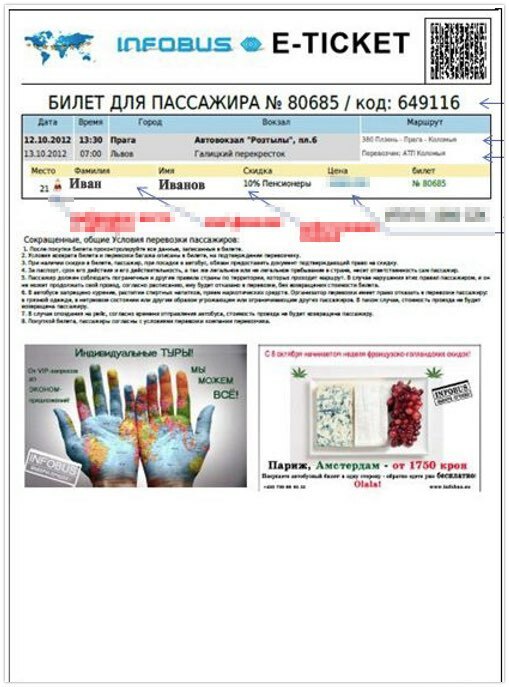 The final result of the whole process is your passport with your visa attached to one of the pages. Check the validity of the visa issued to ensure that it covers the period of stay requested, the number or entries required, and that it is valid for the purpose of trip immediately after collection of the passport.